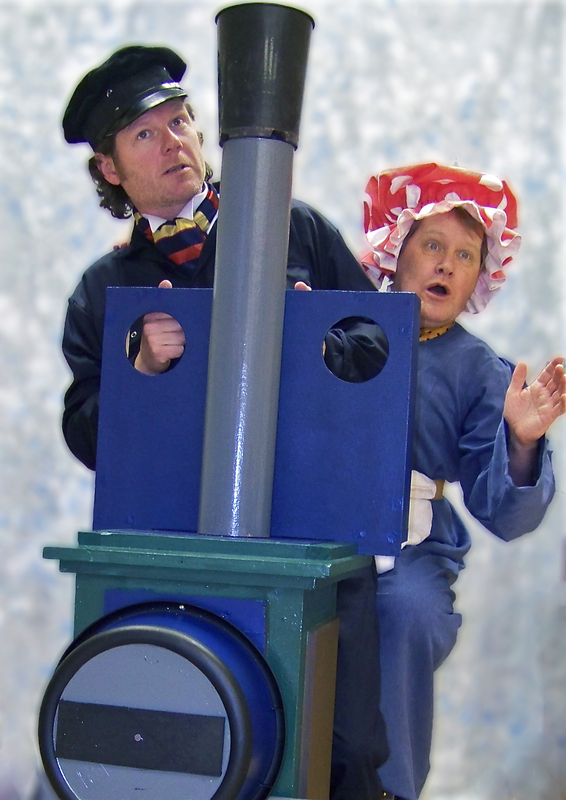 A Christmas Carol and The Wind in The Willows - Rain Or Shine Theatre Company. I am a freelance writer living in Gloucestershire. I have been writing family style articles in the form of columns for newspapers since 2000 and spent four years presenting an interview chat show on Forest of Dean Radio. If anyone reading this has ever seen a Rain or Shine production, you will be aware, that in the summer months, the company tours classical theatre to outside venues. In the winter however, they are a little more restrained and do actually perform inside, at venues near you. The purpose of Rain or Shine Theatre Company is to tour professional theatre at an affordable price. At ticket prices starting from £9 for adults and £5 for children, it certainly is affordable. The company is currently doing its Christmas tour of thirty or more shows, across the UK. It is a double bill of two old time favourites:Charles Dickens' A Christmas Carol, adapted and first shown by Rain or Shine three years ago, and a newly adapted piece of Kenneth Graham's Wind in the Willows. Both pieces have been adapted and directed by James Reynard and are being performed by a band of actors with boundless energy and enthusiasm, professionalism and skill: Jayne Lloyd, Anthony Young, Tom Jordan, Claire Tucker and James Reynard. Now, with this preview, I do have to claim "kin" so to speak, for if you click on the website of Rain or Shine, you will see that I performed with them myself, two years ago. My great claim to fame is that I acted at Holkham Hall in the same room as the beautiful Keira Knightley. Keira acted there when she did The Duchess. In my case I was playing a ghost at one point, and whereas Keira elegantly descended the marble stairs in magnificent period clothing, I nearly tripped on said stairs whilst wearing muslin over my head and a long nightdress. But nevertheless, we have acted in the same space, Keira and me. Just not at the same time. As such, you could accuse me here of being a little biased, when I tell you that I have no doubt that these shows will be full of fun and vivacity, in true Rain or Shine style. However, I am going to tell you that they will be full of fun and vivacity in true Rain or Shine style, because, they will. So whether you fancy immersing yourself in Dickens' time honoured favourite, with the spirits of Christmas Past, Present and Future and the infamous Mr Scrooge, or whether you are looking for a trip down the river banks with Ratty, Badger, Mole and Mr Toad, Rain or Shine will there for you, to entertain and delight. A Christmas Carol is only on until Christmas, but Wind in the Willows tours until February. The shows are a family treat, with Wind in the Willows being suitable for all over 6 years and A Christmas Carol for all over 7 years. Note: If, disappointingly, there isn't a venue near you, then call Rain or Shine, to suggest a new venue for their next tour. If they can get themselves and their set there, assuming that it is a financially viable proposition, they will. Where: At venues across England and by invitation, elsewhere. Cost: From £5 for children/ £9 for adults. Family group prices available too.